[Corrected March 20] Russia is “close to completion” of a coordination plan for the “whole set of GLONASS signals” that will include eight different CDMA signals on four frequencies, according to Prof. Grigoriy Stupak, deputy director general of the Russian Institute of Space Device Engineering (RISDE) and the general designer for the GLONASS system. Speaking last week (March 10) at the Munich Satellite Navigation Summit in Germany, Stupak reaffirmed that the first code division multiple access signal would be implemented on the next-generation GLONASS-K satellite scheduled for launch this year and broadcast on the GLONASS L3 frequency. In that band, the open signal is centered at 1201.743 MHz and the secure (encrypted) signal, at 1208.088 MHz. 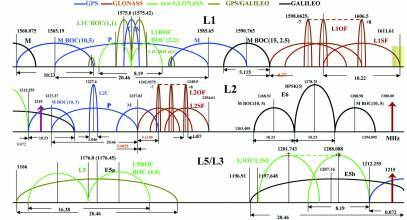 Eventually, additional CDMA signals would be introduced at new GLONASS frequencies, L1, L2, and at L5. Stupak emphasized at the baseline frequency division multiple access (FDMA) signals used since the beginning of GLONASS would continue to be broadcast. 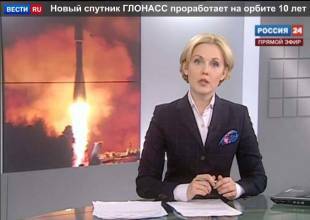 Meanwhile, he said that three GLONASS-M spacecraft launched on March 2 are expected to come on-line before the end of this month. Russia has 20 “healthy” satellite on orbit, Stupak said, although GLONASS #726 has been in “maintenance” status since last August 31 due to a problem with its signal generator. The 20 space vehicles include two “duplicate slots” in Plane 3 where redundant satellites are in place. If all goes well with two additional launches of triple-satellite missions this year, Russia should be able to declare full operational capability for GLONASS by the end of this year. 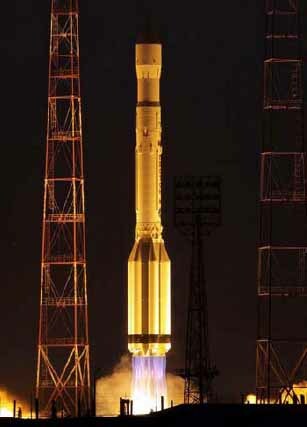 Stupak predicted that GLONASS “performance would be comparable to that of GPS by the end of 2011. Stupak also said that Luch geostationary communications satellites would be in orbit by 2013 to provide complete ground coverage of Russia as part of the GLONASS System of Differential Correction and Monitoring (SDCM).